He is one of the original superheroes, having made his first appearance back in the 1930s. He is on par for power with the likes of Superman and Wonder Woman, yet many are not familiar with the hero Shazam. The former Captain Marvel is not a household name, but after the release of the film, that is going to change. Directed by David F. Sandberg, this is the most fun I have had in a DC Comics movie. Billy Batson (Asher Angel) is a kid that life hasn’t been too kind to. Separated from his mom at a young age, he bounced from foster homes in search of his mother. But life gets complicated when he is chosen by the last of the wizards on the Rock of Eternity (Djimon Hounsou) to be his champion. Granted the wisdom of Solomon, the strength of Hercules, the power of Zeus, the courage of Achilles, the stamina of Atlas, and the speed of Mercury, Billy Batson transforms into an adult embodiment of his real potential (Zachary Levi) as the hero Shazam, by merely saying the word. What could go wrong with this scenario: a kid in an adult body with the powers of a superhero? Besides trying to make it through the learning curve, Shazam is faced with a powerful foe, Dr. Sivana (Mark Strong), who has the power of the seven deadly sins of man inside of him and a powerful and tragic connection to the Wizard. But Billy isn’t alone, as his fellow group home roommates are there to help, especially Freddy Freeman (Jack Dylan Grazer), who happens to be quite the nerd when it comes to the world of superheroes. It is Freddy who helps Billy figure out exactly what his powers are, but even that has its rough spots. 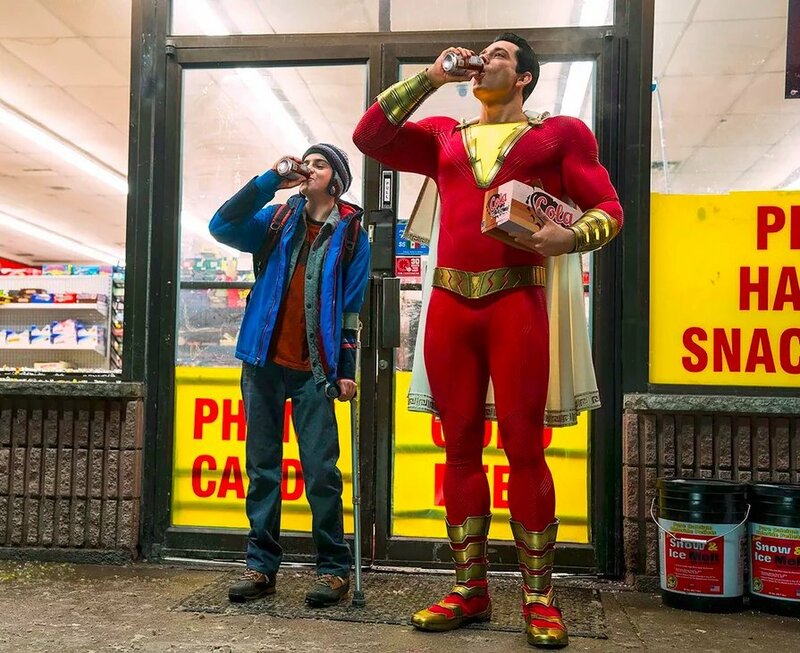 What we get from Shazam is a movie that blends humor, action, heart and a healthy respect for the character’s legacy. Levi is made to play the big red cheese of the DC Universe. What sets Shazam apart from, say, Superman, is the innocence and amazement he has being a kid in an adult body. That, and Shazam’s sense of family, which has always had a massive presence in the books. With the appearance of Freddy, Mary (Grace Fulton) and more, we see Billy is never truly alone. Strong’s portrayal of Sivana did what I thought was impossible, and made the character an unusual, legitimate threat. I never liked the Sivana character in comics, but in the film, he is one of my favorite comic book villains. Together with the seven deadly sins, we have a force that is standing in Shazam’s way of saving the day. Included are some Easter Eggs, which include a certain other champion of the Wizard, as well as another classic Shazam villain. I loved Shazam, and it is the best movie of 2019 for me so far. Levi and Strong deliver big time, as does the entire cast. Fun, enjoyable and with hilarious ties to the DC Universe, Shazam is the definition of catching lightning. Next WonderCon 2019- Day One Brings It!